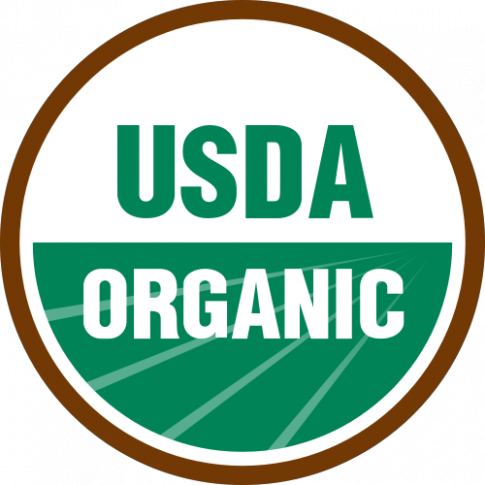 USDA Certified Organic food items. Let me make this perfectly clear. Neotame does not have to be included in ANY list of ingredients! 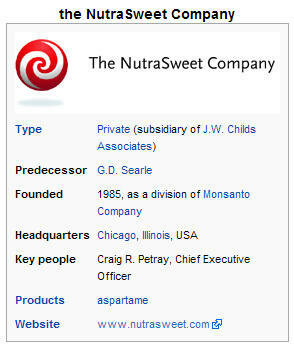 So, if you buy processed food, whether USDA Certified Organic or not, that food most likely will contain Neotame because it is cost-effective, and since no one knows it is there, there is no public backlash similar to what is happening with Aspartame. A win/win situation! I am so tired of all the cheating in the food industry. Organic has become a yuppie thing so now we have all this so called healthy good being made by companies that don’t care. Huge companies are buying up small farms and companies and change them.. Thanks for letting us know. I hope the real organic companies will be able to state on their labels that the product Does Not contain this junk! I heard they are planning on inserting a new ingredient into the food supply which will cause everybody to go naked everywhere. I’m not sure that it’s secual prurience – maybe they’ll do it in winter, just hoping we’ll all freeze to death. organic is a bit of a racket in and of itself. in many circumstances, it is a pay for the use of the label scheme and nothing more. we have gone through all the hoops ourselves for exporting a berry from the patagonia region of chile – http://www.patagoniamaqui.com. not all its cracked up to be when you figure out how it all works. Do you think they’re part of the same agribusiness corporate conspiracy that created this situation? Or that their information is incorrect? Thanks for your email. Neotame DOES have to be included in the ingredient deck. Neither neotame nor any artificial sweetener are allowed under the USDA’s National Organic Standards, and its use is not acceptable at products sold at Whole Foods Market. My response is in a follow-up posting: “The USDA’S Organic Deception” at http://farmwars.info/?p=4913. Will post here shortly. I haven’t looked into Whole Foods, so I cannot comment regarding whether or not this is intentional or unintentional. The FDA and USDA regulations are difficult to wade through at best. The National Organic Program has received inquiries concerning Internet claims that the artificial sweetener Neotame is allowed in organic foods. To clarify, it is NOT permitted in organic foods or foods labeled “made with organic [specified ingredient or food group],” nor is it permitted in organic livestock feed. All additives used as ingredients or processing aids for foods labeled “organic” or “made with organic [specified ingredient or food group]” must appear on the National List (7 CFR 205.605-205.606). Neotame can be included in the USDA Certified “Made With Organic Ingredients” classification as well as “Contains Organic Ingredients” without labeling. Neotame can be included in the USDA Certified classification “Contains Organic Ingredients” without labeling. My husband, our two daughters and I raise almost all our own food including beefers. We stopped feeding “Sweet Feed Supplement” two years ago because there happens to be very little real “feed” in the um, ”feed”. Which left us with corn….. you know, the GMO corn. And let’s face it, organic feed, while commendable, is comparable in price to feeding our beefers filet mignon, and now I give you mad cow disease. So let’s do an experiment and take one bottle fed, spring calf (named Picky) and raise him on grass alone, no corn, no Sweetos, no feed supplement of any kind, in other words nothing poisonous. Now I don’t sing to my doggies at night but that calf was fat, happy and healthy! Guess what? Best meat we ever raised! (is that PETA panting?) We were brainwashed into getting as many pounds on the beefer in the shortest time possible at all costs. The cost is poisonous food!